Wing Dihedral is the upward angle of an aircraft's wing, from the wing root to the wing tip. The amount of dihedral determines the amount of inherent stability along the roll axis. 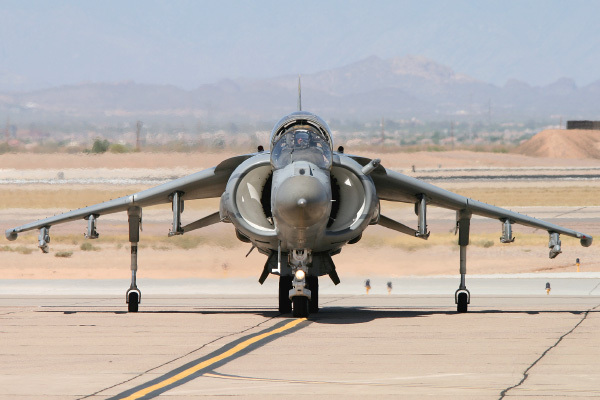 Although an increase of dihedral will increase inherent stability, it will also decrease lift, increase drag, and decreased the axial roll rate. As roll stability is increased, an aircraft will naturally return to its original position if it is subject to a brief or slight roll displacement. Most large airliner wings are designed with dihedral. 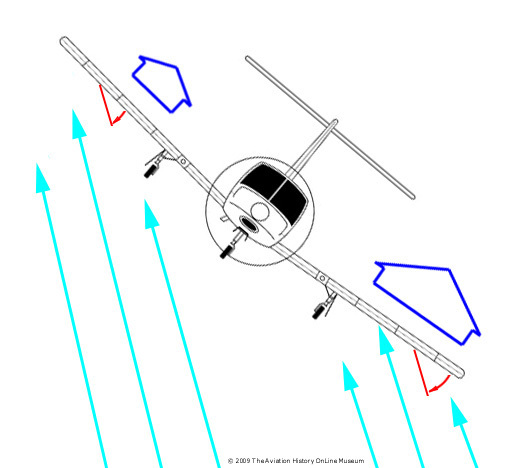 On low-wing aircraft, the center of gravity is above the wing and roll stability is less pronounced. This factor requires the use of greater dihedral angles in low-wing airplanes. On high-wing aircraft, the center of gravity is below the wing, so less dihedral is required. On low-wing aircraft with wing dihedral, when a wing rolls downward, the relative wind on the descending wing becomes a component of the forward motion of the airplane and the downward motion of the wing. This produces a higher angle of attack on the descending wing and consequently more lift. Created December 5, 2009. Updated June 1, 2015.